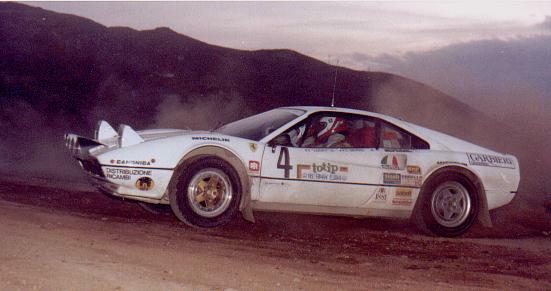 New in stock is this stunning Ferrari 308 GTB Michelotto Group B rally car. Driven in period by Lucky Battistolli and Bjorn Waldegaard before being bought by the current owner in 1988. Today, the Ferrari 308 Michelotto is in astoundingly original conidition, with the front mounted fuel bag tank by Pirelli dated ’84, Sparco Kevlar seats, Sabelt seat belts manufactured in 1983, Halon fire extinguisher with service date of 1986, space saver Canonica 5 spoke split rim spare wheel, intercom system, tools and titanium pedal box all retained and clear to see.